To make these madeleines the very best, you’ll really need a food mixer or a grown-up who doesn’t mind whisking for a good while. 1. Get your tin ready by brushing each hole with flavourless oil, (or some melted butter) and then dusting flour over the top. 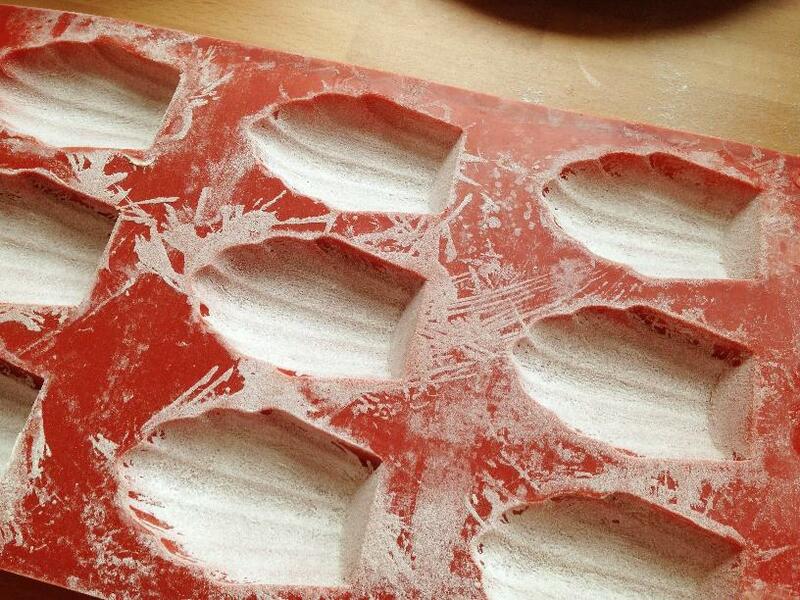 Give the tin a good shake to make sure it’s all coated with the flour, and throw away any loose flour. 2. Melt the butter for your madeleines and then leave it to cool until you need it. 3. 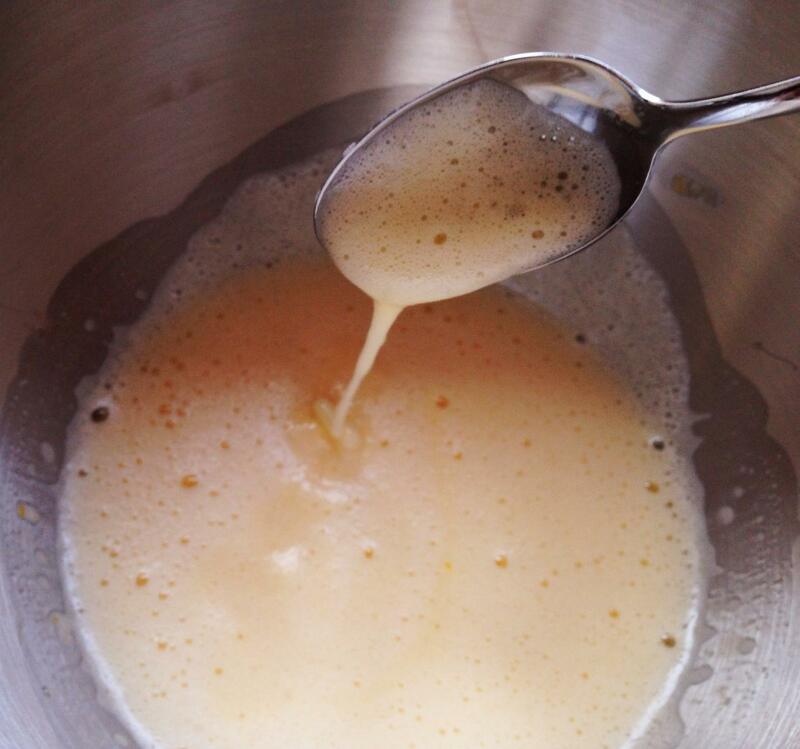 Mix the sugar and eggs in a mixer for at least 5 minutes on a medium speed. 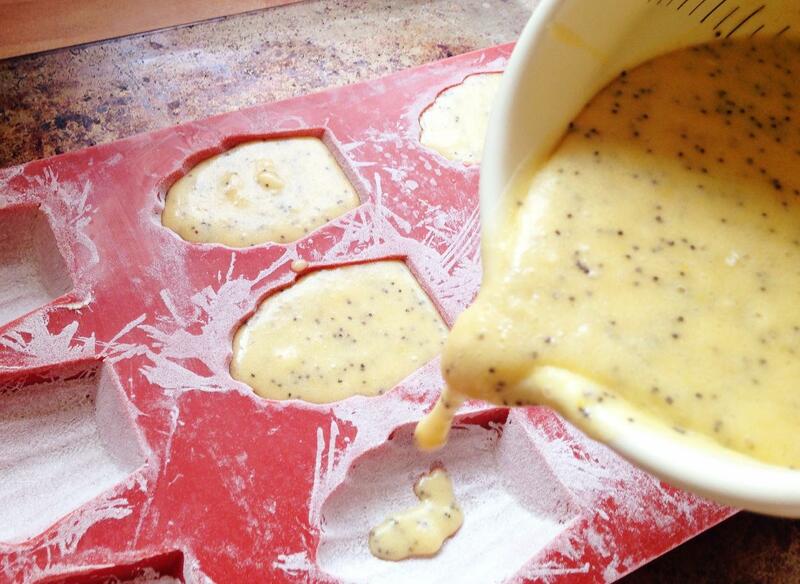 It needs to be thick and pale–the mix will leave a trail on the surface if you put a spoon in and out of it. 4. Now treat your lovely, airy mix with care–we want to keep all that air in there. 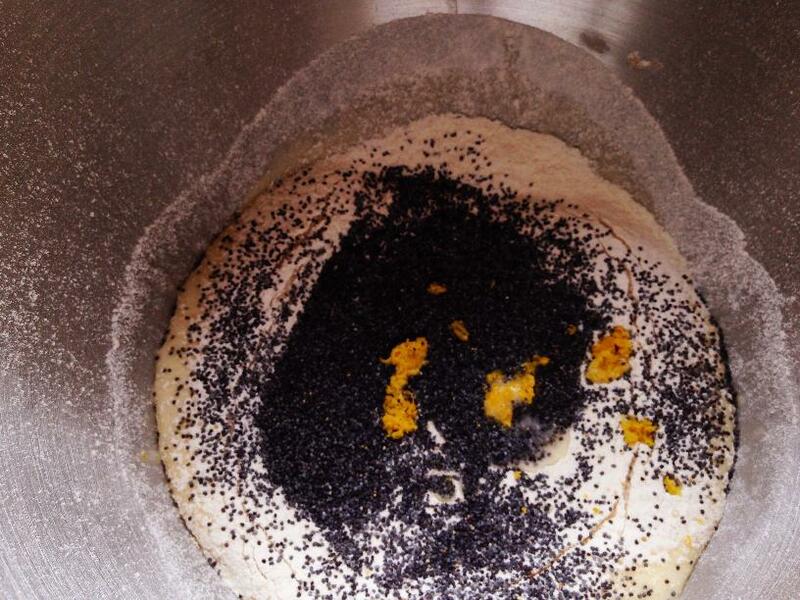 Sieve the flour over the top, then sprinkle your poppyseeds, and add the lemon zest and juice. Gently pour the cooled melted butter into the mix too. Now use a spatula to fold all the ingredients together. Don’t beat it wildly or you’ll get rid of the air. 5. To make life easier you should pour the mix into a jug. Using the jug, pour the batter into your tin, filling each well (or hole) to the top. 6. Bake in the oven for 10 minutes. Leave to cool for a few minutes before you tap them out, and you’re done! 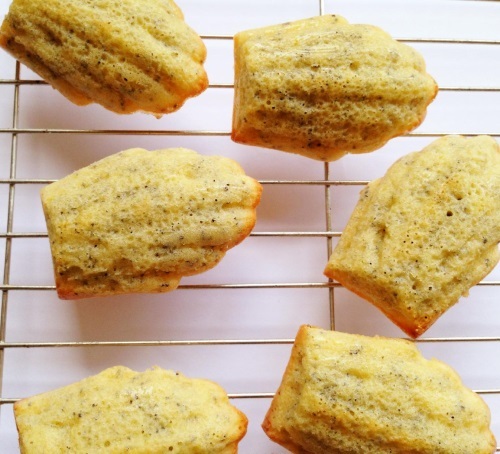 Perfectly delicious madeleines ready for after dinner or to stash into your lunchbox. Madeleines are really popular in France and are one of the few baked goods that people in France make at home–most pastries and breads are bought from the local patisserie (bakery). 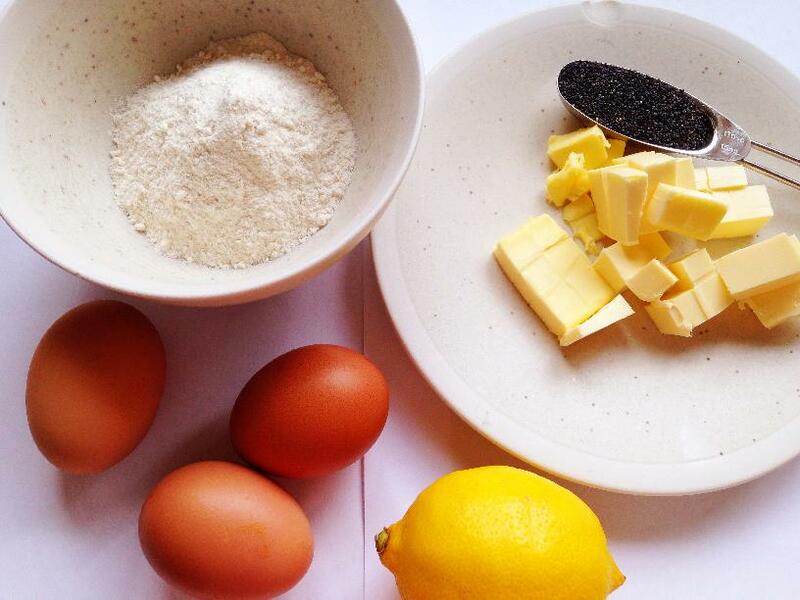 In fact, madeleines are one of the first things that French children are taught to cook, and now you can cook them too! 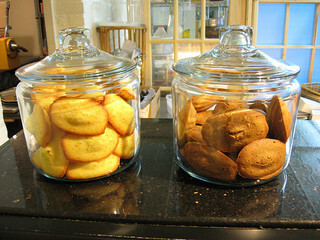 Madeleines can be found in patisseries usually in jars by the counter. Madeleines were written about by a famous writer called Marcel Proust and it’s thought he is to thank for their popularity today. He preferred his madeleines dipped into tea! Remember to follow us on Twitter to keep up with more awesome recipes and fun stuff. Always wanted to bake one. 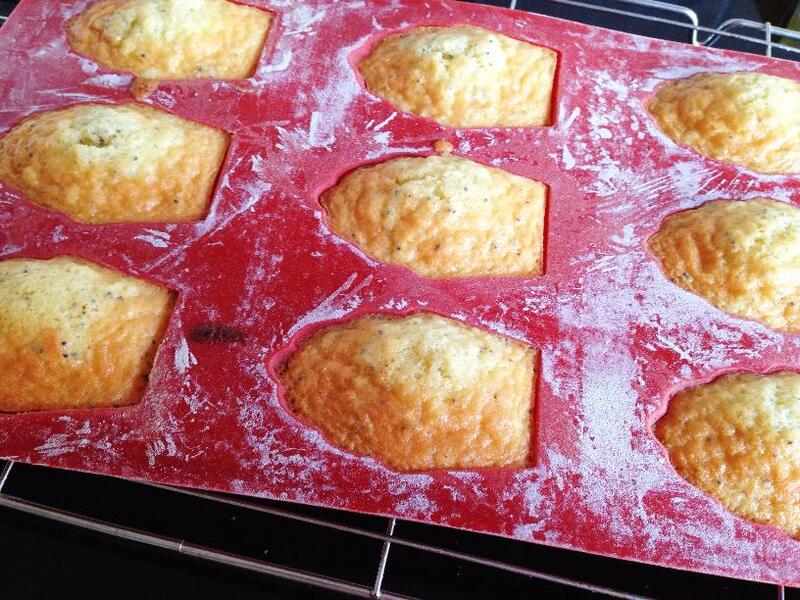 Will give this a go in my mini muffin tin. I wish Adrian likes cake. For some reason it makes his tongue itch.